Jeroen Veldman is Senior Research fellow at Cass Business School, City University, London. 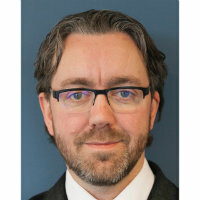 He has previously held appointments at Cardiff Business School and the Utrecht School of Governance, Utrecht University. He leads the Modern Corporation Project, an impact-oriented and interdisciplinary project that engages with academics and practitioners worldwide to identify best practices with regard to long-term value creation. This interdisciplinary research connects themes including social enterprise, profit with purpose companies, ESG reporting, strategy, CSR, business ethics, systemic risk, and innovation. He has published in Human Relations, Cambridge Journal of Economics, British Journal of Management and in Critical Perspectives on Accounting. Levillain, K., Parker, S., Ridley-Duff, R., Segrestin, B., Veldman, J. and Willmott, H. (2018). Protecting long-term commitment: Legal and organizational means. Corporate governance in contention (pp. 42–65). ISBN 978-0-19-880527-4. Veldman, J. and Willmott, H. (2017). Social ontology and the modern corporation. Cambridge Journal of Economics, 41(5), pp. 1489–1504. doi:10.1093/cje/bex043 . Veldman, J. and Willmott, H. (2016). The cultural grammar of governance: The UK Code of Corporate Governance, reflexivity, and the limits of ‘soft’ regulation. Human Relations, 69(3), pp. 581–603. doi:10.1177/0018726715593160 . Veldman, J. Boards and Sustainable Value Creation: The Legal Entity, Co-Determination and Other Means. European Business Law Review, 30(2), pp. 279–300. Veldman, J., Gregor, F. and Morrow, P. (2016). Corporate Governance for a Changing World: Report of a Global Roundtable Series. Brussels, Belgium: Frank Bold. du Plessis, J.J., Varottil, U. and Veldman, J. (2018). Globalisation of corporate social responsibility and its impact on corporate governance. ISBN 978-3-319-69127-5. Veldman, J. (2018). The Separate Legal Entity and the Architecture of the Modern Corporation. In Boeger, N. and Villiers, C. (Eds. ), Shaping the Corporate Landscape: Towards Corporate Reform and Enterprise Diversity (pp. 61–76). Oxford: Hart Publishing. du Plessis, J.J., Varottil, U. and Veldman, J. (2018). The significance of moving beyond corporate social responsibility (CSR). Globalisation of Corporate Social Responsibility and its Impact on Corporate Governance (pp. 3–23). ISBN 978-3-319-69127-5. Veldman, J. (2018). Responsibility and the modern corporation. Globalisation of Corporate Social Responsibility and its Impact on Corporate Governance (pp. 77–92). ISBN 978-3-319-69127-5. Veldman, J. and Willmott, H. (2017). The corporation in management studies. The Corporation: A Critical, Multi-Disciplinary Handbook (pp. 197–211). ISBN 978-1-107-07311-1. Veldman, J. (2017). Self-regulation in international corporate governance codes. Corporate Governance Codes for the 21st Century: International Perspectives and Critical Analyses (pp. 77–95). ISBN 978-3-319-51867-1. Veldman, J. (2016). Corporation: Reification of the corporate form. The Routledge Companion to Philosophy in Organization Studies (pp. 333–342). ISBN 978-0-415-70286-7. Veldman, J. (2016). Incorporating embodiment. Institutions Inc. (pp. 124–144). ISBN 978-1-137-48147-4. (2016). Pioneers of Critical Accounting. In Palgrave Macmillan UK. ISBN 978-1-137-54211-3. Veldman, J. (2018). Inequality, Inc. Critical Perspectives on Accounting. doi:10.1016/j.cpa.2018.04.001 . Morrow, P. and Veldman, J. (2017). The Purpose of the Corporation. ICGN Yearbook 2017 pp. 58–59. Lazonick, W., Blankenburg, S., Froud, J., O’Sullivan, M.A., Sauviat, C., Reberioux, A. … Veldman, J. (2016). The Modern Corporation Statement on Economics. .
Morgan, G., Soederberg, S., Plehwe, D., Horn, L., Jessop, B., Nölke, A. … Veldman, J. (2016). The Modern Corporation Statement on Politics. .
Collison, D., Jansson, A., Larsson-Olaison, U., Power, D.M., Cooper, C., Gray, R. … Veldman, J. (2016). The Modern Corporation Statement on Accounting. University of Alberta School of Business Research Paper, (2016). Stout, L.A., Robé, J.-.P., Ireland, P., Deakin, S., Greenfield, K., Johnston, A. … Morrow, P. (2016). The Modern Corporation Statement on Company Law. .
Willmott, H., Djelic, M.-.L., Spicer, A., Parker, M., Chanteau, J.-.P. and Alii, E. (2016). The modern corporation statement on management. .
Beverungen, A., Hoedemaekers, C. and Veldman, J. (2014). Charity and finance in the university. Critical Perspectives on Accounting, 25(1), pp. 58–66. doi:10.1016/j.cpa.2012.10.005 . Veldman, J. and Willmott, H. (2013). What is the corporation and why does it matter? Management (France), 16(5), pp. 605–620. Veldman, J. (2013). Politics of the Corporation. British Journal of Management, 24(S3). doi:10.1111/1467-8551.12024 . Veldman, J. and Parker, M. (2012). Specters, Inc.: The Elusive Basis of the Corporation. Business and Society Review, 117(4), pp. 413–441. doi:10.1111/j.1467-8594.2012.00413.x . Veldman, J. (2011). Governance Inc. Business Ethics, 20(3), pp. 292–303. doi:10.1111/j.1467-8608.2011.01628.x .